From my 23 years of being veg*n, I’ve met more genuinely curious people instead of condescending ones. However, do be prepared to be scrutinized, judged and ridiculed by (hopefully) the minority. Who would’ve thought by choosing not to eat certain things will invite so much uncalled-for reactions? 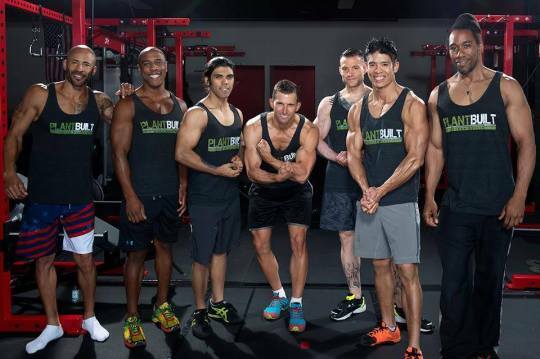 New veg*ns, or anyone interested – be prepared, as these can make or break your goals. The challenges we face can be categorised into 2 types – food and people. Despite popular assumptions, it’s not the food but the people around us who make the most barriers. Initially, I craved meat, eggs, dairy since that was largely part of my diet. Before allowing myself to have any of that, I would first eat something vegan, like rice and beans, fruits, a burrito etc. I would only allow myself to eat non-vegan foods after I was done having a good sized vegan meal. Almost every single time, I did not crave anything else after being eating it. Once you are nourished and filled, your cravings for what you normally desire (meat, dairy and eggs) will decrease. On the rare occasion when I did crave for animal products after eating, I would eat it mindfully. This means, no distractions – just me and my food. I would savor it, noticing aromas, different flavours of the various components and texture. I would also observe how I felt throughout the meal in a non judgmental manner (feelings of guilt etc). During this whole process, I was fully aware of where the food came from (be it a suffering cow, or slave labor in the seafood industry). These helped form my conscious and ethical eating habits, which lead to conscious and ethical living. Be grounded in your reasons. Self-reminders are a powerful way to change taste buds. When you start to reduce something you greatly enjoyed, having cravings are perfectly normal. Food cravings are actually your body indicating a lack of certain nutrients? Next time when sugar cravings hit, grab some medjool dates instead of candy. Your body will thank you! This was also how I weaned off junk food addiction. I found same levels of enjoyment and higher levels of health benefits by snacking on coconut chips, dark chocolate, chestnuts, dates instead of Kit Kats and Skittles which made me feel sick after a temporary high. To make transition easier, quality mock meats are great. Some really do taste exactly like their meat counterparts! Before criticizing the role of mock meats in a vegan diet, keep in mind that some people need them for transition or whatever reasons to help them stay veg*n. I enjoy eating them occasionally since they can a tasty, convenient option. Gokul and Eight Treasures is highly recommended as a great place for mock meat dishes (they label vegan/dairy clearly, I really enjoy Gokul’s murtabak). Loving Hut has an excellent beef rendang and a burger with vegan egg. NomVNom has yummy meaty soy patties and Veganburg’s got delicious sausages. For packaged mock meats, imported Western brands are pricier and usually tastier, Chinese ones are cheaper but not all are tasty. You have to do trial and error to find what you like. Fry’s Braai sausages (Cold Storage & Redmart) have been highly recommended by some friends. Quorn is now retailing at NTUC. Go for established brands with nice packaging and watch out for dairy and egg in the ingredients. Many of Singapore’s favourite local foods are meat-based – laksa, chicken rice, bak kut teh etc. If you find it hard to “give up” those, rest assured that good vegan versions are available. Hungry Ang Mo has recommendations of excellent local fare. One big reason people quit being veg*n is that they aren’t equipped with the right nutritional knowledge. Instead of labelling vegetarianism/veganism as a terrible idea, why not ask, “Am I eating well?” Being veg*n DOES NOT mean replacing animal protein with tofu and mock meats. You WILL NOT get enough nutrients by eating only those for protein! To reap maximum health benefits, eat a variety of minimally processed whole foods. Expand your taste buds by trying new foods, finding new ways to cook/eat them and arm yourself with scientifically-verified knowledge of plant-based nutrition. You can start by reading my previous guide on nutrition. Firstly, vegetables makes up about 20% of the plant-based diet. Rice is a grain, almonds are nuts, chickpeas are legumes, mango is a fruit and mushrooms are not even classified as plants. The idea that veg*ns only eat veggies needs to go! Secondly, a higher level of skill is required to coax out flavours of plants, that’s why many plant dishes in cheap eateries don’t taste amazing or need lots of MSG and oil. Having eaten one bad vegan dish doesn’t mean all foods in the veganiverse are terrible. It’s fine to be vegan without having vegetables, as you can get nutrients in other ways (e.g, pulse sesame seeds into a powder, sprinkle it on peanut butter spread on bread, and pair with orange juice for iron.) Nonetheless we still should try to incorporate them into our diets. Be open to trying new things. If you’ve never tried a certain type of vegetable before, try it! Only when I turned vegan, did I try whole tomatoes in burgers and on pizzas.. and I loved it! If you hated a certain vegetable when you were younger, try it again! If everyone else hates a certain thing, don’t be so quick to assume that you will. Identify what it is you don’t like about vegetables. Is it the taste or texture? We all love vegetables one way or another. After all, meat is marinated with herbs, spices and vegetables. I don’t like the bitter taste of some vegetables and the texture of almost all. I usually have them minced, processed or blended. If it’s the bitterness that you don’t like, try blanching the veggies for a few minutes. Another tip to help with flavour is to start with finely chopped onion and garlic with lots of spices and herbs for taste. Try preparing veggies in different ways. Kale does not taste nice raw or stir fried, but baked in an oven they become crisp and crunchy snacks. I don’t like any mushrooms, except in soups or when they are chopped finely. Also try combining vegetables together. You may not like leek on it’s own, but leek and potatoes is amazing. Lastly, try blending some spinach leaves in your fruit smoothie and you can get greens without tasting grass. Join a potluck in the community. Such is a great way to experiment and test lots of different foods at one shot! Get excited about recipes. 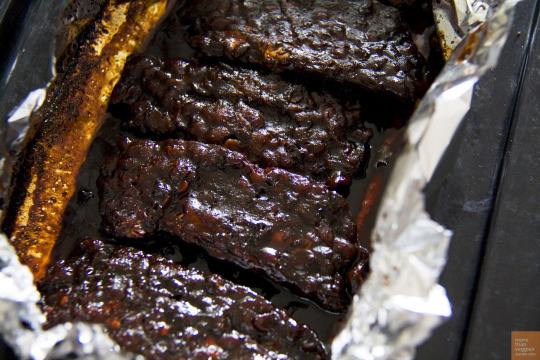 This is a vegan recipe page that makes me drool! Yes and no. For vegan alternatives foods like non-dairy yogurts, cheeses and ice creams, they are imported chilled and hence too expensive for an average middle class to eat daily. In the West there is more access to meat and dairy alternatives. Demand for such foods in Singapore are not as high as countries like Germany, so it is unrealistic to expect equal levels of convenience and price. Good news is that major retailers are catching up. 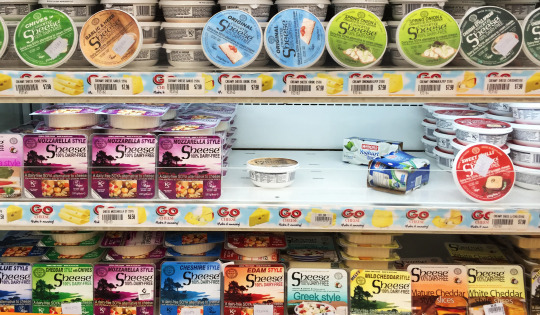 In recent years there has been a great increase in the non-dairy milk varieties in supermarkets and even Mustafa decided to stock the cheapest vegan cheeses on the island after feedback from the community. Hence, look forward to more vegan processed foods on the shelves! Otherwise, majority of vegan food is NOT expensive. Grains, legumes and seeds based foods are cheaper per calorie than meat and fish while meeting nutritional needs with zero cholesterol. Various vegan meals can be bought in most hawker centres and food courts for under $5. Many traditional snacks and desserts are vegan as coconut milk and agar agar is used instead of cow’s milk and gelatine. Thanks to racial and cultural diversity, we have an astounding amount of cuisines to choose from and tons of ingredients to play with. Oh, and cheap tropical fruits! Be familiar with the psychology of defense mechanisms. Plenty of vegan literature has linked it to the crazy reactions we get after casually mentioning our dietary preferences. This reaction can be experience by any group of people in general, not only vegans. The inspiration and desire to learn, listen and take positive action. A feeling of anxiety and guilt that they themselves are not doing as good or as much as others. Unfortunately the majority is the latter. Many people don’t have the strength to face facts or make effort to change. Therefore they exhibit the 15 behaviours of defense mechanisms to protect their ego, hide their guilt and to look stronger or feel better. All the negative reactions we face basically stem from this normal, unconscious, primitive human instinct to protect the sense of self. So don’t feel bad when facing such remarks! Be prepared to meet these types of people after “coming out”. If you enjoy yummy food regularly, why not express it? Show the possibilities (laksa, pizza, ice cream and cake etc with ZERO cholesterol?). Social media is a powerful way to show the abundance and positivity of veganism – it is simply great food enjoyed with great friends! Pack your own lunch to school/work if there’s no vegan food near you. When having these lunches with colleagues, they’ll be curious to what you are eating and thus opens the topic. If you’re a good cook/baker, share generously with people by offering to bake or make food for a birthday/event. If you can’t cook, bring people to try great veg*n places to eat – and there are plenty to choose in Singapore! Eat as wholesome as possible. Once people see that you’ve gotten healthier, stronger and happier, they’ll be naturally convinced. Share positive content about veganism. It can be anything, like “Vegans are increasing in population” and “McDonald’s got a new vegan option!”. This shows that it is a positive lifestyle and thus piques people’s curiosity. I understand as new vegans, emotions of anger and frustrations can overwhelm. Keep in mind that telling people to “go vegan!” or “stop eating meat, it’s bad!” can cause most to activate defence mechanisms and close their minds. Instead, embody the message in your daily actions and speech. I personally prefer engaging in a discussion and sharing only if the other party is truly open. If not, I know that I have left a seed of impression and they may find it when their time comes. Compassion and non-violence applies to people, including you too – strive to be the kindest, most giving and positive version of yourself. Humor is mostly always a good idea. Giving people a surprise chuckle or laugh adds a plus to their impression of you, and vegans in general. Also, it can lighten the mood and open the topic for discussion. When someone provokes you, the bigger your reaction the more satisfied they feel. So take their comments lightly, stand your ground and don’t be affected. My default answer to people who say “I only like meat and hate veggies.” is “Good, more plants for me then!”. 1) Skinny and tired all the time because of lack of protein. 2) Arrogant, shoving their beliefs down people’s throats. I’ve had this remark many times said in front of me, funnily sometimes by people who don’t know that I’m one! This may be misunderstandings about nutrition, negative media portrayals and simply guilt reflex. Yes, some vegans may be militant and negative, but just like in every group of people there are bad apples. Be your genuine self. Then people around you will realise that vegans can be nice, polite and.. just normal. Share positive news and content about veganism. But don’t keep sharing and talking about only veganism. Work on your own interests and celebrate them just as much. I strongly believe that a happy vegan is more convincing than an angry one. Strive to be someone who spreads positive and uplifting vibes not one who judges others for eating differently. As someone who believes that all beliefs can and should be questioned, I actually appreciate such ‘Philosophers” and “Nutritionists”. They can see veganism as beyond a diet and in the contexts of morality, evolution, religion etc. Engaging in a discussion with them can be mind-opening and rewarding for both parties – if done with a respectful attitude. Problem is, some base their arguments on not very substantial research – or maybe even from a single Buzzfeed video. Who funded the research? What purpose does the sponsor have by publishing the research? Was it taken out of context? Ask to see the full article/source to fully understand the context. One example is a recent study that found some vegetarians may have better omega-3 conversion. Some media twisted the findings into concluding that vegetarians have higher cancer risk which the researcher dismissed it as misrepresentation. Is the article cited with links to sources and preferably backed by references and bibliographies? What do the critiques of the book/article say? Eye rolls aside, from a purely psychological point of view, they might have exhausted all means of logical arguments. They are desperate to find fault in your beliefs with non-intellectual insults to trip you emotionally. A little sarcasm helps to flip the logic the other way, and maybe they will see it! 2) Do not engage. Smile, laugh and walk away. Sometimes, there’s no point feeding the troll. Congratulate them for trying, as most can’t bear to live without animal products for even a day. Secondly, try to understand what went wrong and help him/her solve it. For many young new veg*ns, this is one huge barrier. In our somewhat still traditional society, disagreeing with parents or figures of authority in the family is usually a huge no. More conservative families have a “I know what’s best for you so listen to me” reasoning no matter how much scientific facts are presented. It’s understandable as it’s a reaction from a usually respected ego being questioned and the sense of losing control over their child. Since we mostly have to wait till marriage to move out, the pressure and negativity from people who are supposed to love and support can be unbearable. Here are tips from my friends Amanda and Goat Man (not a real name obviously, he’s shy), 2 young vegans who went through huge resistances from family. My family is vegetarian so food-wise isn’t that hard. But I had debates with them. My dad still doesn’t support me. They get angry when I turn down their offer of dairy food. I didn’t announce that I am vegan immediately as that will really surprise my parents and provoke a greater reaction/resistance. Until they realised I’m not eating eggs and milk, they were surprised and we had a protein debate. 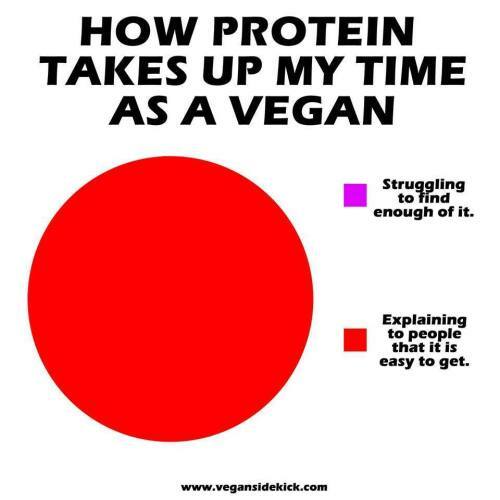 They still aren’t convinced that we don’t need eggs and milk for protein. Until now, they are still telling me I should drink milk just because it’s not against our religious beliefs. 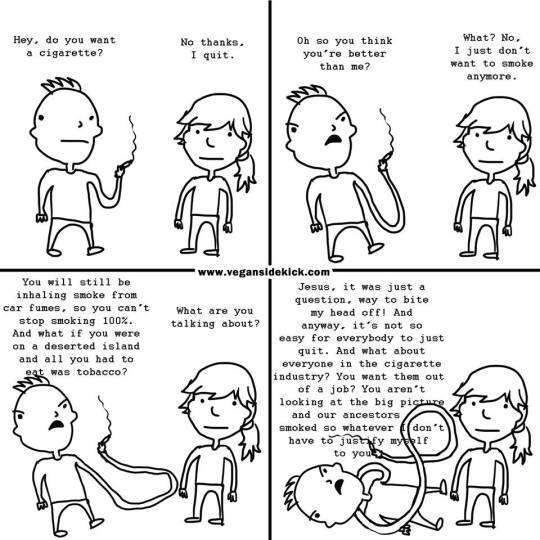 I learned a lot about all the sort of ways how others argue against veganism from vegans and meat eaters debate groups (warning: trolls, but this is the reality of humanity). That helps to mentally prepare against such onslaughts. I guess it’s better to try to convince them using logic, doing it in a loving and calm manner. My mom noticed I became healthier as a vegan, so she started supporting me and even buys me vegan mock meats. It’s good to cook them some vegan food to try and just be yourself, really. They’ll notice a positive change in you and might be interested in trying vegan too. When you’re out with your family and can’t order your own food, pick out the plants from the meat dishes if there is really nothing else for you to eat. (This was what I did back then but nowadays it’s so much easier because there are vegan options almost everywhere.) Don’t get angry or upset at what they say to you. If you get into an argument, always stay calm. If they want to know, use Internet resources to show them what you mean if you can’t explain or prove a point. Take things slowly, if you can’t be a vegan immediately, being vegetarian is good enough. One step at a time, there is no rush especially if the situation is not favourable. Some may tell you being vegetarian is not good enough but it actually really is good enough in certain situations! You cannot “make” anyone vegan or agree with you. But you can influence them, by being happy and healthy, sharing delicious food photos and recipes! People will only accept when they want to open their minds and hearts. You can be armed with all right facts, but I believe that’s not enough. 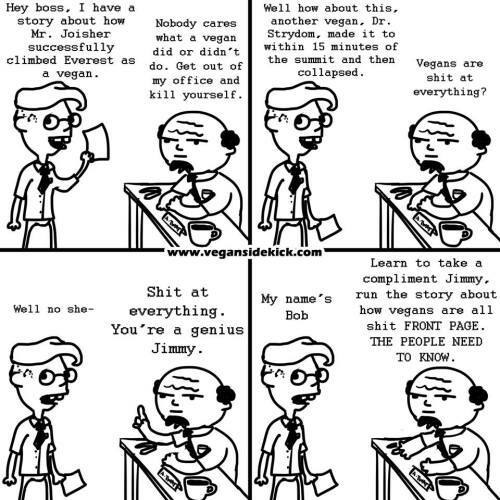 If you act like a condescending jerk, no one will listen and probably end up hating all vegans. Like my friends mentioned above, positivity is the best way to influence! Understanding how people think and feel is very important too. Veganuary, VeganHealth and this post are a great place to start learning about facts and logical reasons that will help support your views. Kirchner’s Korner on importance of finding common ground with omnivores and the fundamental problem with veganism. Highly recommended. Understand the science of animal advocacy, the secret reason why we eat meat and the power of words in advocacy. Charisma on Command has tips on on how to read people and deal with negativity. Vegan Strategist is the best blog out there now about effective communication with a pragmatic and friendly approach. The diverse and inspiring real-life examples of Singaporean vegans – athletes, Muslims, families and foreigners have been featured in local news. 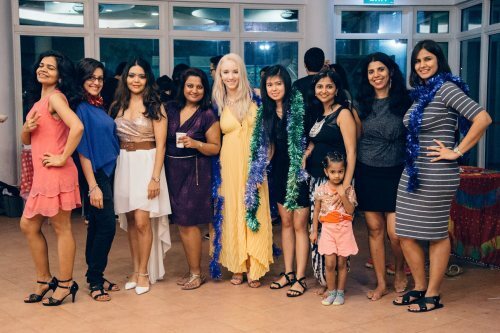 Luckily, the Singapore vegan community is tight knit and active. We have monthly events in the form of potlucks, outreach, screenings, meetings and dining sessions. It can be very daunting to change your lifestyle, but you don’t have to do it alone or all at once. Explore our hashtag #sgvegan on instagram. 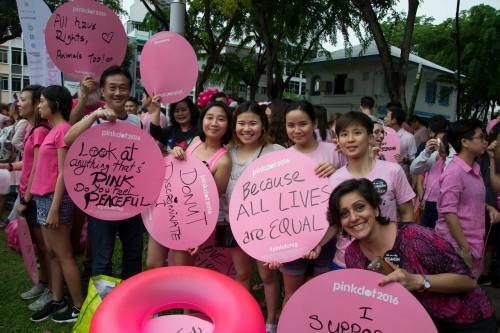 Animal Allies Singapore – An outreach group that inspires people to make more compassionate, healthy and sustainable choices in Singapore. Vegetarian Society Singapore – Singapore’s oldest non-profit and non-religious charity and organisation promoting a plant-based living. Team V runners – Vegan/vegetarian marathoners and athletes who train regularly together. Interested veg*n (vegetarian/vegan) athletes can contact Team V admin at 97213547 to be added. Be ready to be introduced to new people by omnivores as “The Vegan”, as if what you eat is the only interesting thing about you. You are as much of a complex individual as everyone else and certainly more than the V label. Never take negative comments personally. Remember the defense mechanism – it’s not your fault that some people have fragile egos. And don’t be a militant vegan, don’t forget that we weren’t born vegan. You may often feel like “me against the whole world” feeling, but you’re never alone. New veg*ns, welcome to the community! I look forward in meeting you in our foodie gatherings. Thank you for reading my series and I hope they help you in your journey. Chinese New Year small steamboat gathering, 2017.